Though we have made enough progress in last decade, water is still a confusion. It is unlikely that anyone will suggest you have water without proper purification and that’s where the idea of best water purifier for home in India is handy. India is a beautiful country and a great place to live and work in but we cannot deny the concern that travelers and residents of the country have with safe drinking water, especially with the large pollution, industrial developments and some serious water pollution in most areas. Drinking contaminated water can cause a lot of diseases, most of which can be very fatal in the long run and with water borne diseases being a common problem in the country you wouldn’t want to put your family or yourself at risk. Tap water must be avoided at all costs and one cannot always rely on mineral or bottled water for everyday consuming. How to Choose the Best Water Purifier in India? So what is the best option? The answer is simple. A reliable water purifier is absolutely essential for every home in India. But before you purchase a water purifier you must consider quite a few things in order to pick the best water purifier for home use. There are a variety of models, and the multiple functions and features advertised by the sellers can be over whelming if you step in to the water purifier market in India without knowing much about this important appliance. The good news is that today we will be covering all about the best water purifiers in India and how you can purchase the perfect model for your home. We have filtered (yes, just like filtering water for purification…genius!) and reviewed some of the popular and best selling water purifiers and also put together a comparison chart to help you decide better. Our buying guide later in the article will further explain things in details while you will most likely find any remaining questions which you may have answered in the ‘Frequently Asked Questions’ segment. But before we continue I must inform you that this is going to be a long article because we are going to discuss a lot of important aspects and talk about some interesting factors that are worth knowing. You could take a look at our ‘Comparison Chart’ for a quick idea on the ‘Top 5 Water Purifiers’ but we highly recommend that you read the whole article if you want to know more about water purifiers, how they work and what makes them so beneficial for every household and office. We reviewed the KENT Gold Optima and decided to include it in our list of top 10 water purifiers because of its simple operation and low price range. It is a gravity based water purifier which means that there is no need of electricity to run this product, making it extremely economical. The tank holds 20 liters of water, where the top tank is designed for 7 liters of raw water and the bottom tank will store 13 liters of purified water. The tank is transparent so you can have a clear view of the water being processed and ready for drinking. Made with ABS food grade plastic, there are no risks of chemical release or harmful substances mixing with the water during storage. The plastic is also very durable and lightweight, making it a portable and easy to clean appliance. The hollow fiber ultra filtration membrane is enough to process up to 4000 liters of water after which the cartridge must be changed. For most customers this can last for 4 to 5 months or more, depending on usage and condition of raw water. The only draw-back with such gravity water purifiers is that you must clean the filter on a regular basis and the appliance is not designed with the technology or mechanism to cool water like electric water purifiers. The base is high enough to fit a glass under the tap for a direct flow of water and placing it by the edge of the counter enables you to fill tall flasks and jars easily. The KENT Gold is an entry level water purifier that is ideal for an average size family and its affordable price tag makes it possible for every home to have clean, fresh and tasty water for consumption. If you are looking for an electric water purifier that disinfects and improves the taste of water using the best modern day technology but does not cost you a leg and an arm then check out the KENT Wonder. The Kent Wonder can be placed on a table-top or even mounted on the wall to save space. Wall mounts are ideal for small kitchens and they are also easier to fill up bottles and long containers with. Most of the users of this model mentioned the convenience of its removable tank, which can come apart from the casing to be taken to a sink for cleaning. The tank is made of durable food grade plastic and is transparent in color. Easy removable of the tank also eliminates the need for a technician or outside help as any adult in the house can take care of it. Whether you use brackish, tap water or water from the municipal corporation water supply, KENT’s patented mineral ROTM technology and an inbuilt TDS controller can purify the water to its healthiest and tastiest state. The RO technology and TDS controller improves the taste of your water after the purification process by retaining all the essential nutrients. With a high storage capacity of 7 liters and purification capacity of 15 liters per hour, you can always have a flow of fresh drinking water anytime of the day. In case of power failure, the water purifier holds enough water to serve you and the whole family for a while. It doesn’t end there the KENT Wonder is also equipped with some computer controlled programs that alert users when it is time to change the filter or when the UV lamp loses its effect. We would recommend this water purifier for small families and those seeking an affordable electric model that does not require too much maintenance. The Aquafresh Swift is one of the most affordable water purifiers which one can get for home use. It uses multiple technologies such as RO, UF+ UV systems to kill and remove impurities from water. All advanced models of water purifiers must be equipped with the Reverse Osmosis + UV technology to get the best results in the water purification process as the largest number of microbes, bacteria and viruses are destroyed this way. With automatic monitoring you do not have to worry about the water quality or taste as the machine takes care of everything while you get delivered the purest and freshest water for consumption. The Swift can process up to 15 liters of water which should be enough for the whole family to drink and also for cooking for other personal use. Its award winning design is perfect for your home with its clear cover and water level indicator. You will be alerted when the filter needs a change and even in case of Ultra Violet Ray fail. To prevent leakage and increase performance value, all the components are designed for a push fit. Customers are recommended by the manufacturers to install the maximum TDS of 700PPM, any filter higher than that can damage the membrane, which is not covered by the warranty. Style meets performance with the Blue Star Aristo. This sleek looking water purifier will look amazing in your kitchen with its black casing and sharp features. With only 3 functional buttons on the front display of the machine and the water outlet below, it portrays a clean and classy look. But the design is not the only praise worthy trait of the Aristo- it does a great job in disinfecting water using a tried and tested 6-stage purification system. During the purification process the water goes through a pre-sediment filter before passing through a carbon-filter. Before the Reverse Osmosis technology is activated, water will be run through a sediment filter. After that Ultra Filtration is activated to disinfect any impurities left and finally the water will be pushing through a post-carbon filter that involves an aqua taste booster. The end result is clean, pure and great tasting water for you and your loved ones. The ATB is a technology that is only found in really well made water purifiers and is used to enhance the taste of water and maintaining the pH level of water. The double layered RO and UF does an even greater job in impurities reduction and offers a better protection against harmful matter found in water. The high grade RO membrane with 10 inch filter capacity will not only purify to the maximum quantity but also work through the process effectively. The storage tank can hold up to 7 liters of water and will alert you when it is full. Other notifications include an indicator to inform you of the purification process and a low water pressure. For those with small children at home can activate the child lock to prevent accidental water flow and wastage. The Aristo AR4BLAM01 differs from the AR3BLAM01 (reviewed previously) in the sense that it uses an Ultra Violet Radiation in the purification process, instead of the Ultra Filtration and also comes with a UV fail alert system. This model also features a gorgeous black housing and smooth clutter-free surface. It will look good in any modern kitchen and in fact may be used as a centered piece with its stylish aesthetics. You can enjoy safe and clean drinking water any time of the day with the Aristo taking care of the purification process in modern style. Water passes through 6 stages before it is delivered to you for consumption and the whole process is completed effectively with the use of the latest technology. Starting with multiple filters, water is processed and sent for further disinfecting through an activated RO membrane and Ultra Violet Radiation. To ensure that water does not lose its taste after going through the various steps, the Aqua Taste Booster in the final carbon filter restores the taste and makes the water much more refreshing to consume. The carbon filter is activated with copper, which targets bacterial properties and also works to remove foul smell and volatile organic compounds from the water. To make things easier for you and always keep you notified of everything that is going on with the purification system, the water purifier is programmed with multiple alert systems. The purification process will be highlighted for you; you will be alerted when the tank has reached its full capacity and also when the water pressure is running low. Furthermore, there is also an indicator present to alert users in case of UV failure. To prevent accidental activation and wastage of water, this water purifier also has a child lock that can come in handy in a household with small children. Installation is offered by the company but do check out this information from the sellers before purchase. Havells is one of the most trusted companies in India and their water purifiers have reached countless homes and offices throughout the nation. One of the first things that will attract you to the Havells Max is its stylish design that features a classic white and vibrant sea green combination. The two tone color designed casing and clear water tank gives the machine a sleek and sophisticated look which will compliment any modern day kitchen. You can also place the purifier on a corner table or mount it on the wall to save space in the room. Water is processed under a 7 stage purification system where the latest and most effective decontamination takes place to turn even the most unsafe water to its purest form. With UV radiation, most of the impurities are dealt with, but the level of purification is raised even higher with the reverse osmosis technology where a semi-permeable membrane is used to de-ionize the water and make it free of all harmful particles. Usually water loses its natural minerals and taste after the purification process but with an included mineral cartridge all the essential and healthy minerals are retained and the pH level of the water is also corrected. But it does not end there, the Havells Max also has a Revitalizer that reshuffles the water molecules and helps to increase the hydration and mineral absorption level. Customers can also enjoy some automatic programmed features that are designed to give off alarms on several occasions such as when the tank is full or when water pressure is low. The error alerts are present to signal off UV, SV or pump failure. For hygienic handling, the water purifier has been designed with a soft touch faucet that ensures ease of use and a smooth flow of water. It is also made to guarantee that there are no splashes while turned on, so you can keep the surrounding area clean and also prevent water wastage. Coming to the tank, it comes with an ingress protection cover that stops all outside particles such as dirt and insects from entering inside and is also fully removable so one can easily detach it from the machine for cleaning purposes. Want to turn heads with your water purifier? Then check out the Havells Digitouch. While protecting you and your family from diseases that are caused by contaminated water, this high end water purifier will also add a touch of charm and style to your kitchen. Of course such quality and high grade features come with a price so be prepared to cash out a good amount for it. But if price is not a factor then you will be proud to own the Havells Digitouch. Let us start with the inter-face of the machine where smart touch control panel and LED backlit function indicators grace the surface of the champagne and black dual tone colored casing. Features include smart alert programs that always keep you updated on the purification process and also of any errors during operation. In case of water not been healthy enough for consumption, the iProtect Purification System that provides a constant monitoring, will cut off the unsafe water, alerting you just in time so you do not accidently consume contaminated water. As water is supplied to the machine, it flows through several filtration stages before it is delivered to you for consumption. Installed with a RO membrane as well as double UV protection, you can be sure that even the tiniest harmful particle in the water will not be present after the final stage of purification. A high quality machine such as this one will always have the RO technology incorporated before the UV is activated because UV cannot work on unclear water and neither can it remove the dead bacteria and viruses from the water like RO can. So to double the effectiveness and ensure the highest level of purification, it is necessary for both of these technologies to be used. The sterilization process rotates around the clock and is automatically activated every four hours, allowing you and your loved ones to have access to clean water at all times. Previous owners of this water purifier have praised the taste of the water, stating that even after been processed under several purification stages, the end result is always great tasting water. This is possible only because of the Revitalizer and Mineral cartridge fitted in the machine that restructures water molecules and corrects the pH level, assisting in retaining all the lost minerals which are healthy for the body. If you get your water from bore wells then you need a water purifier designed especially to purify hard water. The TDS level is very high in water from bore wells and if the right kind of water purifier is not used for the purification process then the processed water will be unfit for drinking due to bad taste, poor color and even foul smell. Eureka Forbes has a fine line of Aquaguard water purifiers designed just for bore well water. The Aquasure promises to work best with water that have a TDS count of 500 to 2000. The purification is achieved by the installation of two powerful and effective filtration systems- Reverse Osmosis and Ultra Filtration. These two technologies combined ensure that all micro-organisms as well has harmful metals such as lead and arsenic are removed from the hard water. The tank has a capacity of 6 liters to store water and give you access to safe drinking water for times when there is no electricity. To save energy the machine comes with a smart energy saving mode that turns off the machine as soon as the tank has reached its full capacity. Aquasure is said to purify up to 6000 liters of water before the membrane and filter needs a replacement. The purification process takes approximately 15 minutes to process 6 liters of water so there is no delay in having clean and tasty water every day at home. The machine is also very stylishly designed so it will look gorgeous when set up in any corner of the kitchen. 11 Stage Purification Consist Pre-Filter, Sediment Filter, Carbon Filter, Ro Membrane,5 Different Minerals, Uf Filtration And Uv Dis-Infector. One Years Warranty For Electrical Parts Except Uv Lamp. Electrical Parts Will Be Send Through Courier But Technicians Charge Is To Be Paid By Customer. Filters Are Consumable Hence Not Under Warranty. 12 Ltr Water Storage Tank With Food Grade Abs Plastic Cabinet. To Arrange Installation Call On Toll Free Number - 1800-2330-214. Installation Charges Will Be Approximately Rs. 350 To Rs. 500 Depend Upon Location. A compact, convenient and best water purifier for home use, this model is perfect for those who are looking for a water purifier that does its job well and also comes at an affordable price. Designed with RO and UV filtration systems, water is purified using only the most advanced technologies. Water is processed in 11 stages and with every step it becomes purer and healthier for drinking. If you are wondering what these 11 stages consist of then let us give you a quick description- Water first passes through a pre-filter, a sediment filter and a carbon filter before it is pushed through the RO Membrane. Following the RO, water is processed through post carbon with an added 5 different mineral cartridge. Finally water goes through an Ultra Violet Radiation for further disinfecting of bacteria and viruses. With a compact design and easy operation, you can get hassle-free water that is safe and healthy to drink and is packed with essential minerals for the best health benefits. Customers get a year’s warranty on the electrical parts, excluding the UV lamp. No warranty on filters as the life and performance of the filters vary according to the quality of the water supplied by the main source. For the last water purifier on our list, we have the DR AQUAGUARD GENEUS Plus by Eureka Forbes. This is one of the most high end water purifiers which you can get in the market and it is designed to offer you and your family the highest possible protection from water borne diseases. Dr AGUAGUARD GENEUS Plus is recommended for municipal water, as well as bore well water and water from tankers. It works for both soft and hard water so no matter what source your water flows from, this classy water purifier will decontaminate it to its best state. Installed with multiple filtration systems such as RO and UV, every tiny bit of impurity is removed from the water before it is released for consumption. This model is also packed with several features to make operations better and easier. To start with, this highly developed and elegantly designed water purifier comes with a LED display that has all the smart controls installed. There are indicators to inform you of when the tank is full and also if there are any issues that need to be fixed. There is a mineral modulator that can be adjusted to fit your preferred taste of water as well as a reserve mode that can be activated in order to prolong the life of the machine. The E-boiling feature allows you to get water that is as safe as boiled water without the hassle of boiling water on a stove top manually. There are also multiple cartridges built in like the HCCB cartridge which absorbs organic impurities, the Nutritron cartridge that balances the pH level and a Mineral Guard that retains all the healthy minerals naturally found in water. All these and many more such technologies incorporated in this water purifier aid in giving you the healthiest water for consumption. But every good thing comes with a price and in this case DR AQUAGUARD GENEUS Plus may set you back a little if you are on a tight budget. This amazing product costs quite a bit but its high-end features and top class performance is truly worth every cent spent. Kent is one of the most trusted and popular brands in India. Its operations were started in 1999 by Mr. Mahesh Gupta and the company has gained immense popularity throughout the years, serving millions of satisfied customers of the nation and winning many awards. Kent incorporates the patented technology of the RO+UV+UF+TDS Controller in their water purifiers which result in not only purifying water to the highest grade but also retaining most of the essential minerals. Apart from water purifiers, Kent manufactures several other quality products such as air purifiers, vacuum cleaners and cooking appliances. With 33 years of experience, the team at Eureka Forbes knows what its customers need and for years they have been building a reputation of trust and upmost performance through their health and hygiene line of products. Their satisfied customers can be found throughout the country as their products have made way to millions of homes. Aquaguard water purifiers are one of their most trusted products and with a wide range of models, the appliances are designed with Universal, RO and UV technology, which offer the best protection against all impurities. The company has also introduced other line of products, including air purifiers and vacuum cleaners. Pureit water purifiers are not only popular in India but also in various other countries across the globe. It is associated with the well known Unilever brand, through which it has gained great recognition and trust. Hindustan Unilever Limited has been around for more than 80 years in India and their products can be found in almost every other household across the nation. One of their best selling products, the Pureit Water Purifier is designed using the most modern technologies like RO, UV, MF and Oxytube, which ensure that even the tiniest harmful chemical is dealt with during the purification process. For customers who are interested in the brand can also check out their well designed air purifiers. Blue Star launched their first water purifiers for home use in 2016 although the company has been associated with a number of other products and services for many years now. They are a well known name in the electrical, plumbing, fire-fighting and industrial field and have both commercial and residential customers. The great thing about water purifiers from Blue Star is the wide range of models they come in. With around 9 different model names and prices that range from under 10,000 to over 20,000 everyone has a shot at these great products. Their high grade models are equipped with RO+UV+UF filters and with an patented Immuno Boost Technology, you will not only be drinking healthy water, but also strengthening your immune system with the alkaline antioxidant water provided to you. This company needs no introduction as it is one of the leading names in the electronic industry already. With countless electronic consumer products and millions of satisfied customers, it is not surprising to find at least one LG product in Indian homes. However, they even took the initiative to launch water purifiers that look great and have first class features. One of the most uniquely designed water purifier from the LG brand is their stainless steel model, which effectively reduces the risks of bacterial growth and tainted smell, resulting in fresher water that remains drinkable for a longer period of time. If stunning designs, essential features and top notch protection are what you are after, then you should check out their excellent line of water purifiers, built especially for Indian homes. AO Smith water purifiers are built to filter water with a 5, 7 pr 8 stage water purification system that gets rid of impurities and also works to retain all essential minerals in the water. The water purifiers are sub-categorized in the X, Z and i series with further choices on the kind of technology you are looking for, as well as with some special features on each model. The company designs water purifiers for all kind of homes and its wide range of prices enable customers to choose from within their budget. Other than water purifiers, AO Smith is also a leading manufacturer of water heaters. Livpure was launched by Luminous Water Technologies Pvt Lts in the recent years and within a very short time they have managed to enter many Indian homes with their affordable and well designed water purifiers. With advanced technologies and careful construction, the water purifiers serve their purpose extremely well and also last a long time. The excellent qualities of the products have also made them worthy for commercial use and for that reason their water and air purifiers are highly recommended. At Livpure, you will be able to choose from a wide range of water purifiers such as RO water purifiers, UV water purifiers, as well as Gravity water purifiers which do not use electricity for purification. So whether you are looking for a commercial grade item or something cost effective, you will surely find your ideal model of water purifier at Livpure. With a strong global presence, Havells India Limited proudly manufactures all its products on home ground and maintains a wide distribution network across the globe with markets in 40 different countries. Havells water purifiers use multiple stages to deliver you water that is safe, healthy and tasty to drink. With advanced technology incorporated in to the construction of each product, Havells offer its customers with RO and UV water purifiers and UV water purifiers. Despite the stylish designs and high grade materials used, the items are affordable and widely available for both home and commercial use. The company also has a long line of consumer goods such as fans, kitchen appliances and an ever wider range of industrial items. Aquafresh is a well established company that has been active since 2001 and has a great customer base which extends to every city nationwide. It is relatively new to the industry of water purifiers but has seen a rapid growth in the number of customers, mainly due to its low price range and high grade performance of its products. Some of the most popular models of water purifiers by Aquafresh are Aquafresh Super Grand, Aqua Pearl and Aquafresh Dolphin. All these water purifiers make the use of the latest RO + UV Technology that is widely incorporated by all the big names in this particular field. You can easily get a large enough water purifier for a considerably low price and never have to worry about compromising with quality because Aquafresh ensures the best purification and treatment of water for your consumption. Ruby Water Tech is another company that manufactures and assembles all its products in India and thrives with its brand name all across the world. With over 10 years of experience in the field of reverse osmosis, water purification systems, UF water treatment systems and U.V. disinfection water treatment systems, the company specializes in making some of the best water purifiers in the country. Most of the models available under the brand name are economically attainable so even those on a tight budget can have a flow of fresh and healthy water at home for the whole family. Installation is also quick so you can have the water purifier up and running without any delay. Even though the products come at affordable prices, their unique designs make them stand out in the kitchen which also increases their value and customer satisfaction. Water purifiers can be categorized in to two groups: Non Electric Water Purifiers and Electric Water Purifiers. Let us break down each type for you so you can get a better idea of how they work- their pros and cons and also which kind may be the best for your home. Non Electric Water Purifiers A.K.A Gravity Based Water Purifiers. If your water purifier works without electricity then it uses activated carbon or ultra filtration to disinfect water. Any process that can be activated without any outside force such as electricity or chemicals is said to be achieved through gravitational assistant and there are a few ways in which this can take place. A gravity based water purifier will have a number of different layers of filters through which the water will flow before it comes out of the machine’s tap for consumption. These layers usually consist of microfiber mesh which completes the first step of purification by removing the larger sized impurities, followed by an activated carbon filter that kills the tiny microscopic organisms that reside in the water. Finally a polisher of some sort will be added to remove the un-dissolved harmful chemicals left in the water. One other technique that could be incorporated in a non electric water purifier is the use of UF Membrane. UF can also be included in electric water purifiers as they do a great job in filtering out bacteria and micro organisms found in water with the help of a membrane with tiny pores that trap out these impurities. Most homes that get municipality water can benefit from gravity based filters as the running water has some prior purification done. We also recommend this kind of filters to those seeking a more affordable model or for those homes where electricity is not always attainable. The electric water purifiers can be further divided into three groups- each defined by the type of technology used for the purification process. RO stands for Reverse Osmosis and it is an effective process through which a large number of dissolved solids can be removed from water, making the water clean and safe to drink. This kind of technology involves the use of electricity so you need to have a source of power in order to run these filters. The electricity is mainly required as a power boost to increase the pressure of the tap water which will aid in the purification process. RO water purifiers also have pre-filtration which target all the viruses and germs found in dirty water. One disadvantage of the RO system is that is requires more water than all other technologies used in water filtration. For example, if you pour 5 liters of water for purification, you will only get around 2 or 2.5 liters of pure water and more than half of the water will be dirty water. This is mainly because when the RO membrane gets to work, water with a lot of impurities get rejected and in the end only the purest water is passed on for drinking. Some people use the wasted water for other purposes such as cleaning floors or other items but it is still a high level of water wastage, especially in some areas where water is scarce. In this case water is purified with the aid of Ultra Violet Radiation. It also needs electricity to work but does not require any extra force on tap water. With the UV technology, bacteria and viruses are attacked and killed without wasting any water. You will get great tasting water by the end of an UV filtration because no use of chemicals are involved in the process, so water retains most of its natural taste. However, sometimes only UV filtration is not enough to provide you with the best purification because although they can kill bacteria and viruses, they cannot remove impurities such as arsenic, lead or even dissolved salts. Most of the remains of the killed bacteria and viruses remain in the water for this reason. UV rays also need clear water to work properly. As mentioned earlier, Ultra Filtration does not need electricity, but is usually combined with RO and UV technologies to increase the effectiveness of the purification process and also double the protection. The filters used in this process last much longer and also require minimum maintenance. Most companies dealing with water purifiers these days like to combine filtration technologies because when more than one system is used in the process of purification, the machine can deliver the purest and safest water for consumption in the end. If you want to be able to pick the best water purifier for your home or family then there are some key points to keep in mind. After you have considered all these factors you will be able to narrow down your search to the water purifier models that will actually serve you correctly. Let us take a look at these factors in detail. Before you spend money on a water purifier you must find out if the water purifier is designed for the kind of water you get. In India there are many water sources but the most common are municipal water (surface water) and ground water although there may be some areas that also collect above the surface water, i.e. rain water. Municipal water- is usually water collected from reservoirs, rivers and streams and is considered as soft water due to less or no heavy metals present. Municipal water is safe for most household use but still needs further purification from bacteria and viruses to make it safe for consumption. Many people believe that for surface water from rivers or lakes that is supplied by the municipality will only need further purification by UV, while some still prefer to get water purifiers that also include RO. Ground water- can be from bore wells, tankers or tube wells. If your water source is ground water from bore wells or tankers then you will definitely need the highest form of purification from your water purifier because the water is considered hard water that will have a high count of bacteria and viruses. Water will need to be purified by multiple technologies such as reserve osmosis as well as UV radiation. If ground water is from tube wells then the count of bacteria may be lower but you will still need to make sure that your water purifier has the RO system. Rain water could be the purest form of water but despite been soft and free from pathogenic agents, it still has suspended impurities in the form of harmful micro-organisms. We define the quality of water by how hard or soft it is. So how do we determine the quality of water? The best way to know if the water is fit for a particular use such as let’s say for drinking, the characteristics of the water must be measured and analyzed. Things to look out for are the number of bacteria present, dissolved mineral content and temperature. However, these tests must only be done in labs and by qualified personals. You could also get the information from local offices in your area that deal with water supply. TDS measures the total content of all carbon containing or non-carbon containing substances in liquids in the molecular ionic or micro-granular suspended state. It is believed that rain water has the lowest TDS value as it is usually free from pollution. It is understood that the lower the TDS value of water, the safer it becomes for drinking. Anything less than 300mg per liter will be in its best form and anything above will require purification. Once the TDS value of water crosses 300, it becomes hard water. For you to check the TDS level of your water at home you could use a Digital TDS Meter.This is the best way to get accurate results as it involves a device that is designed for the cause. The TDs meter may cost a few hundred rupees but they are excellent tools to check the quality of your water. You can also test the water you get from your water purifier to determine whether the water purifier is filtering your water well or not. Some people also take the help of a filter paper and a scale to do these tests at home but the method is time consuming and also requires several steps. Note that higher levels of TDS does not always mean that the water is contaminated or risky to drink, TDS level actually also determines the taste and appearance of water and higher TDS level in water could just mean that the water will have an odd color, smell or taste. These issues can be solved by using water purification technologies. Not all water purifiers are easy to transport and set up. Most electric water purifiers are not recommended for travelling with as they cannot run without electricity and often require installation done by technicians. Those that are mounted on walls are also a nuisance to remove and set up in new locations. If you know that you will be travelling to a place where there is no power source then your best option will be to invest in a gravity based water purifier. Gravity based purifiers do not require electricity to operate and are ideal for camping trips as well as for homes with limited or no source of electricity. Another thing to keep in mind is that the water purifier must be lightweight, compact in size and also durable. Large water purifiers take up too much space and are not easy to carry around. The material used in the construction of the purifier must also be strong enough to sustain damage caused by too much maneuvering. Although the most stylish and high end water purifiers come with hefty price tags, you will still be able to find water purifiers that are affordable and will go easy on your wallet. The good news is that water purifiers in India are usually categorized by features, technology and price – so you can always find something decent even when you have a tight budget to maintain. We recommend looking for the best basic purification technologies first in your water purifier and then if the price allows you could move on to other details such as extra functions and visuals. Neglecting the standard and quality of the purification system will put you and your family’s health at risk. We have already mentioned and talked about some of the reputable brands of water purifiers in India but let us discuss why you must choose a water purifier bearing a good brand name. To start with, popular brands have earned a good name through years of good service and quality products, so you can rely on them more. All the brands we have listed above are companies that customers trust and recommend to others. But we are not saying that you must blindly trust the performance of your water purifier only because it carries a brand name. You still have to check out the quality of performance and also what other users of the product have to say about it. The good thing about brands like KENT, Aquaguard, pureit, etc. is that they use all the latest and advanced technologies for the purification process in their water purifiers and that is what is highly required of a high grade water purifier. When shopping for a water purifier the first thing you need to check out is what technology the manufacturers have installed in the machine. If your water purifier has a weak purification system then the impurities in the water will not be dealt with fully and you could fall sick from drinking contaminated water. The most common technologies used for water purification are Reverse Osmosis, Ultra Violet Radiation, Ultra Filtration, Micro Filtration, TDS Controller and Mineralizers. It is not uncommon to see water filters use more than one kind of technology in the purification process in fact multiple technologies are highly preferred as they double the protection. We already know that UV can kill bacteria but they do not work on dissolved salts, so in this case RO will be more effective. However, RO may also need to be combined with UV or UF to tackle the impurities which RO could not remove on its own. Mineralizers help to restore or retain all the healthy minerals which were lost in the purification process, thus improving the quality and taste of the water. We know that a company will advertise a product greatly in order to gain customers and boost sale but not all companies provide the right kind of service once the product leaves their offices and enter your homes. Remember that even the best water purifier can break down or show problems during use and if the manufacturers or sellers do not offer any assistance then that causes a lot of stress for the customers. Good customer service means that a team is always ready to respond to customer inquiries and complaints and feedback is always provided on time. It is also important to check out the availability of spare parts in case of replacements required in the future. If the parts are not always available or are hard to find then you will not enjoy using a product for long. A product’s life depends on the quality of the materials that were used in its construction. Durable materials prolong the life as well as increase the performance level of water purifiers. The most common material used to make the body of a water purifier is plastic and if the plastic is cheaply made then the product will not only start to look old within a short period of time but there will also be chances of leaks and other damages. If the storage tank is made of plastic then it should be food grade plastic which is a high grade plastic that is made safe for use in water purifiers. Plastic can be very harmful for the health unless it is the right kind. Some water purifiers are also made of steel and they are usually more expensive than plastic models. Other than the body and tank, the pipes and filtration materials should also be of high quality because they are crucial parts of the machine and must be made to last. Look for at least a year’s warranty from the manufacturers when purchasing a water purifier because that will tell you exactly how trustworthy and reliable the product really is. Some companies even offer up to 3 years of warranty on their water purifiers and some excellent customer service during that period. Avoid items that come with no warranties because once the product has been sold you will have no assurance of how long it will last and there will be no assistance from the company once problems start to show. We recommend that you check out the warranty policies before you make the purchase and also find out everything there is no know about post sale support. 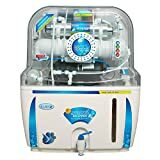 One of the perks of buying water purifiers or any item for that matter from selling sites such as Amazon is that customers can read the reviews of those with first-hand experience of using their products. Reviews are always verified so you can be sure that they are reviews from actual buyers and users. These reviews can be both positive and negative so you can use them to verify the quality and performance of an item which you may have your eyes on. We have covered the different types of water purifiers which you can get for your home or office in this post and we believe that by knowing about these different kinds you can select the most appropriate model to meet your requirements. Your home environment, water source and budget must be looked at to pick something which will be most convenient. We have selected the 5 Best Water Purifiers in India and created a comparison chart below which should help you compare the different models and assist you in selecting the best one for your home. We have compiled a list of frequently asked questions related to water purifier. This list will be updated frequently whenever required. Where to buy water purifiers in India? Water purifiers are sold widely across the country and can be found in most shops that deal with electronics. Because of the high demand of safe drinking water in India, the market oozes with various models of water purifiers, from high end ones to budget friendly ones. But we believe that buying these items from Amazon will be a smart idea for a number of reasons. Here are a few reasons why we recommend Amazon for such purchases. 1. Shop from the comfort of your own home- Online shopping is a huge thing nowadays, especially with everyone leading busy lives, who has the time to hit the malls? Amazon is by far one of the top sites for online shopping and we know just why. Wondering what makes Amazon a great place to buy water purifiers? Read on to find out. 2. Wide range of water purifiers and various models in one place- There is no way you would be able to check out so many models of water purifiers in one day if you physically went shopping, your local stores may not even have so many models with them. But with Amazon you just have to click your mouse and you will be presented with hundreds of items. It is very unlikely that you will not find something you are looking for and in fact you will have more options to choose from. 3. Easy to compare water purifiers- you need to compare a few models of water purifiers so you can select the best one. As Amazon has countless models of water purifiers you can pick your top 3 and then compare each one with their specifications, features and price so you will have no doubt when you make your final pick. 4. Best Prices- Trust us when we say this, Amazon may be your cheapest option when it comes to buying water purifiers. They often have sales and discounts and even their regular prices may be much lesser than your local store. This is possible because multiple sellers put up their products on the site and with so much competition between them the customer benefits the most. 5. Reliable- Amazon always ships your products on time and they also have an excellent customer service team that will provide you with the information and feedback you request. 6. Customer Reviews- We absolutely love this about Amazon. They have a section under each product where customers leave comments sharing their experiences – good or bad- about the product. This helps a lot in deciding on a particular product. You have to admit that this isn’t possible when you go to a local store because the sales team will mostly be full of praises of a product and for the sake of advertisement the real picture is often not displayed. 7. Cheap Shipping- Very often people avoid buying things online because of the all the extra costs and shipping charges, which add up to the price of the actual product. With Amazon you don’t have to worry about high rates and can even have multiple items shipped to you together. They are also very quick in delivering the items. Is it safe to buy water purifiers online in India? Yes-depending on where you buy them from. Not all online sites are reliable and some may not even provide proper customer care. Buying a water purifier online means you have to trust what you see on your computer screen and also all that is written about the product by the companies. However, sites like Amazon have customer reviews which you can read before you make the purchase. We would only recommend buying water purifiers from trusted and reliable online sources. Water purifiers may be gravity based or electric. In general, water purifiers use different modes of purification and technologies such as reverse osmosis, ultra violet radiation, ultra filtration and others. Water passes through these filters and the impurities are removed accordingly. In the end water that has been processed will be in its purest form and safe for consumption. What are the benefits of water purifier? Now that you have read so far you probably have an idea of how having a water purifier in the house or in the office can benefit you, but to make it even more clear and erase any doubts that you may have in your mind, we are going to present you with a list of the many benefits of a water purifier. Removal of harmful chemicals from the water- Whether you get tap water or water from municipality or from the well, there will be harmful substances such as arsenic, lead and fluoride present in the water. A water purifier is designed to remove these harmful substances and toxic metals from the water and make it safe to drink. Kills bacteria and viruses- There are so many things which one cannot see with the naked eye and untreated water is usually filled with many harmful micro-organisms. Reverse Osmosis, Ultra Violet Radiation, Ultra Filtration and other gravity based purification systems installed in water purifiers can target and kill all these micro-organisms effectively. Hassle free water treatment-water purifiers only need water to be poured into them while the machine takes care of the rest. There is no need to boil water or manually do any filtration. Delivers great tasting water- many water purifiers are designed with mineral cartridges and taste boosters that retain the healthy minerals in the water and improves the taste of water vastly. Save money- with a water purifier at home you do not have to spend money on bottled or mineral water. Drink more water- when you know that you are getting the purest and safest water at home then you will enjoy drinking more water and staying more hydrated. How to use the waste water from water purifiers? Water must not be wasted but when using water purifiers, especially those which use the RO technology a lot of water is rejected. You can use the rejected water for cleaning floors, your car or even to pre-rinse laundry. Waste water can also be used to water plants if you have a garden at home or flower pots in the house. But before you use the waste water from RO water purifiers, keep in mind that the high TDS level in the water may not be suitable for many kinds of usage. Modern homes can use the water in the toilet flush systems as a lot of water is used up for that. Is UV water purifier safe? Ultraviolet water purifiers are great when it comes to being cost effective as well as defending against harmful water borne disease causing bacteria and viruses as well as against pathogenic disease causing microorganisms. However, their safety can be questioned upon based on the factor that UV water purifiers are unable to fight against other water related hazards such as chlorine and toxic compounds like VOC (Volatile Organic Compound), which can be far more dangerous and fatal than the usual water borne diseases. Hence it can suffice to say that solely UV water purifiers are in fact not as safe as it should be, unless it can be combined with an even more advanced technology like RO in order to combat those fatalities. In simple terms, with Reverse Osmosis, it is very likely that almost all contamination will be destroyed during filtration, but its safety becomes poor due to this all elimination filtration system as necessary and essential minerals are also eliminated during the process. This lack of balanced filtering makes RO system alone very vulnerable and unsafe, but combining it with any other filtration technology such as UV will allow it to balance out its mineral properties, hence eliminating only the harmful minerals. What are TDS and MTDS in water purifiers? TDS in water purifiers refer to Total Dissolved Solids, which basically comprises of inorganic salts and organic minerals. TDS affects the taste of water, either making it sweet or making it feel heavier than it usually is, depending on its composition. MTDS ensures that a water purifier can purify water with TDS level up to 2000mg/liter- from any water source. What is the difference between UF and MF in water purifiers? The main difference between UF and MF water purifiers is the membrane pore size. Ultra Filtration has hollow fiber threaded membranes which remove suspended or dispersed substances from the water which are also heavier in weight. MF (Micro Filtration) on the other hand, has membranes larger than that of UF. Hence it allows in substances that are also heavier and larger in size too. Which water purifier brand offers best after sales support/service? The answer to this question may vary according to different customers and their personal experiences with a brand but there are definitely some brands in India that have earned tremendous popularity not only with their products but with excellent customer support. After quite a bit of research and analysis we found brands like KENT, Aquaguard and Pureit have a lot of positive reviews regarding after sales support and customer care in general. What are the disadvantages of RO water purifiers? Even though RO water purifiers are great for eliminating all contamination in water, there are some drawbacks to it as well, such as being unsafe to use unless paired up with another technology, such as UF or MF, in order to balance out its minerals and only eliminate the harmful substances and not the essential ones meant for our health benefit. Another serious disadvantage of RO water purifiers solely is that it doesn’t kill water borne diseases causing bacteria or viruses. RO systems also leave the water tasteless and take too much time to purify it. Needless to say, RO systems are far more expensive than UF, UV or MF systems. Does water purifier remove all natural minerals from water? No, it doesn’t. But this also depends on the kind of water purifier it is. For instance, RO water purifiers do indeed remove all minerals from water, the harmful ones and the essential ones too, so it requires another kind of system to go with it, such as UV or UF for example in order to balance out the properties. But then UV systems are not like RO systems, hence they only eliminate the harmful substances, while retaining the helpful minerals. So it all really depends on the nature of the system and what it is initially programmed to do. 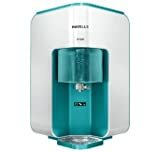 But nowadays, most water purifiers contain additional technology that help to give back lost essential minerals if by chance they are filtered out. So we have finally come to the end of this article but before we wrap things up let us do a quick recap on the main points covered. Water purifiers are essential in countries like India and getting the best water purifier can be challenging and over whelming with so many different models and brand names in the market. Our article today was created to make things easier for you and also provide you with the necessary information and details on these products. By asking yourself a few simple yet very important questions you will be able to narrow down your search for the ultimate water purifier for your home. Take a look at the water source of your home to determine what kind of purification is required and also if you have access to electricity to run electric models. Your budget limit and choice of brand should also be taken in to consideration. Are you more interested in water purifiers that come packed with multiple functions and attractive features or are you keener on getting something that is convenient and easy to operate? We have selected some of the best water purifiers in India for you but picking one out of the lot will depend on your personal preference. If you have enjoyed reading this article then please share it or leave a comment below.